What a Monday this was. Productive, though. And, in the end, that’s all that really matters. Had dinner with Stephen, Ed & Marita Beth at Coker’s BBQ in Arlington as a spur-of-the-moment decision. I like their ham a lot and free beer is generally my favourite kind of beer. I didn’t like the photo, so I played around with levels & curves and saturation. 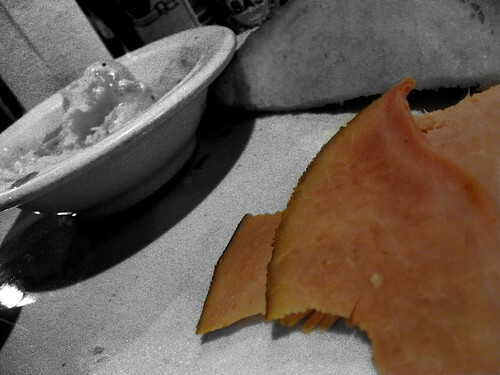 At one point, I desaturated it and thought to myself “leave the ham the proper color”. So, I set a mask and did just that. It’s better this way. As is our wont right now, and because it can’t last much longer, we slept in on Sunday finally rising to have a cup of coffee followed by Bloody Marys. This Sunday, we were excited to also have Mandy join us. Since she is normally in Austin, we were delighted to welcome her to our home. Around 13:30 or so, I left the house and went to No Frills Grill to watch the US vs Brazil Confederations Cup final with Terrill & Bryan. We were later joined by Brett (his wife and eldest daughter stayed in the restaurant while we were in the bar) and soon after that my wife and Mandy joined us. The game did not play out as fantasised, but the US Men’s National Team made a right game of it and gave Brazil what for for nearly 50 minutes. Brazil finally pulled back and won the game 3-2, but there’s next to nothing in that US MNT performance to be ashamed of. 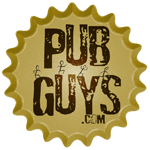 Good on you, boys! As the game ended and folks started to leave, I found myself with a decision to make: Go home and rest up for my soccer game that evening or continue to relax in the company of Marita Beth and Mandy. My decision was made when Ken & his wife Denise called and suggested dinner. Nice timing, Ken! So, we happy three (Marita Beth, Mandy and myself) headed to BlackFinn in the Arlington Highlands. Ken & Denise met us there for dinner, drinks & fun. I later tweeted “chose not to play my soccer game this evening;spent in the company of great friends instead.I can’t be made to feel guilty about that” and I stand by that statement. I apologize to my teammates who had to play with no substitutes for 90 minutes in the North Texas heat, but I made the right decision. 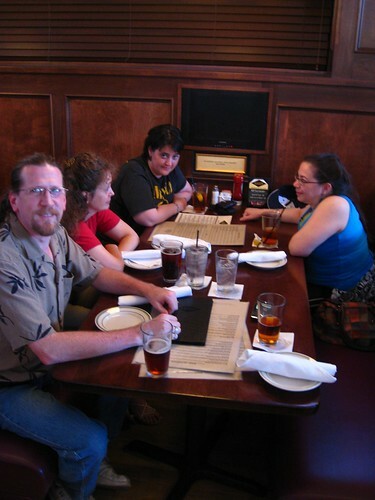 There are still more games to play, but dinner with Mandy, Ken, Denise & Marita Beth was too rare an opportunity to pass. I picked up a line of hand-turned wooden pens for East Wind Games recently and hadn’t yet gotten around to taking product photos. So, here’s one. I believe this one to be Zebrawood. 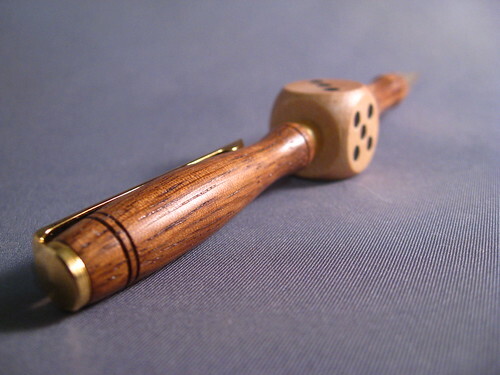 Each pen is hand-made of a different wood and affixed to an 18mm wood die to provide for a beautiful, unique writing instrument. My personal pen is of Tulip Wood and is one of the most comfortable pens I’ve ever owned. Just saying. Friday. This was one of those days where, a few days later, I simply can’t recall. I’m guessing it wasn’t a bad day – I have a tendency to remember those vividly. I’m also guessing it wasn’t an exceptionally good day either as I also remember those. It must have just been a day. In fact, when I was looking at the single photo I took of my day, it took me the better part of 10 minutes to remember even taking the photo much less recall the subject matter. So, a blah photo to bring the life a blah day. 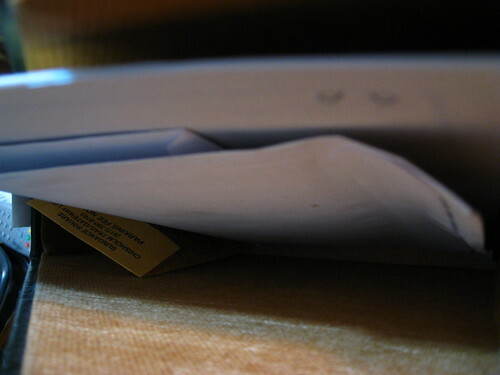 For the curious, it’s a top-down view of my (currently relatively empty) bill folder. I’d had a recent Facebook chat with Rex, so I knew there was a good possibility that he and the boys would be driving through our part of Texas sometime this week. But, I missed yesterday’s phone call, and when today’s came, they were only an hour out of town! Their timing was perfect, as I’d already finished the work I had planned to do loading tubs of fabric from the workshop into the trailer. I jumped in the shower, and checked my email, and it wasn’t long ’til the doorbell rang! I knew to expect these two beautiful little boys to have grown like weeds. After all, it’s been years since I had seen them last, and well . . . boys do that! 😉 Gareth almost remembered me, and Tristan was still a tiny baby when his family moved from Texas, back to California. I have followed their growth as much as I could via photos online, but that does little to convey personality. It was a pleasure to get to see them, and their dad. Almost as great a pleasure, though, was getting to see Charlie and Charlotte—the two border collies that round out their little travelling family. Any dogs that visit here are more than welcome, and doubly so those of the same breed as our two. But, what made this really special, is that Charlie (14) and Charlotte (9) are our ‘Tia’s parents. So, it was a real “homecoming/reunion” of sorts. We had a great visit, and so did the little dog pack. On their way from California to Florida, where Rex is planning to settle down for a while, he had promised the boys he’d show them where they lived in Texas and where Tristan was born. I’m so glad the timing on this worked out such that I was still here, and not already on the road north. Sometimes I think it’s really difficult to get the cat, or my two dogs to sit still for a photograph. Well, from now on that will seem easy! Try two boys under the age of ten and four hyper border collies! Like nailing jello to a tree! In this photo, our ‘Tia is front left, and Cormac is front right. 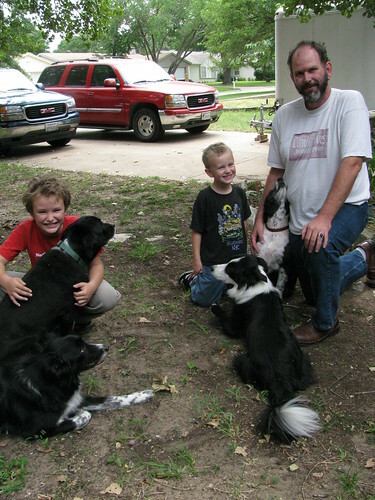 Gareth is holding Charlie on the left, and Charlotte is under Rex’s arm, with Tristan in the center. I went back to work after hugs and mutual safe journey wishes, and they were all once again on their way. I worked ’til about 7:30 or so when Stephen and Ed brought me the costume bits that I’m transporting to Bristol so Steve doesn’t have to fly with them when he visits. We went to Coker’s for dinner and Kyle met us there. Yet another farewell in the parking lot, there, and my last week marches on. We have oft discussed the virtues of our favourite new tradition . 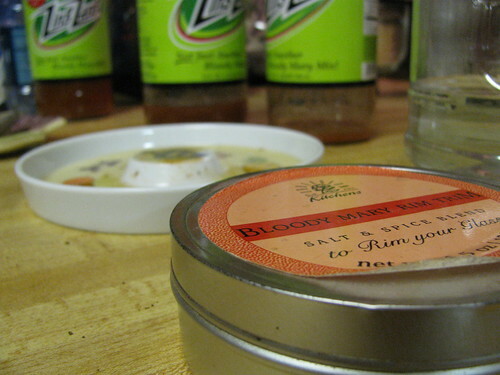 . . Bloody Mary Sundays. So, no need to go on about it more, today. My photo is of the kitchen counter at the end of the day. But, today was made more special by the presence of Mandy, one of the dear girls who helped us start this tradition at Scarborough this spring. Mandy was in town for a class reunion, and we had made plans weeks ago for her to join us this morning. She arrived a little too late for me to cook eggs, so we enjoyed our bloody marys, talked Yoville, and watched football. Kyle headed to No Frills to meet Terrill and Bryan to watch the Confederations Cup Final, and Mandy and I joined them for lunch. We hung out there quite a while, and then after swinging by the house, we soon headed out to BlackFinn’s for dinner with Denise and Ken. I hate all these goodbyes! I miss everyone so much when I leave for Bristol. But, of course, I am blessed to have amazing friends there, too, so it’s bittersweet. I do think that this year will be easier—it’ll be my first summer with Facebook! I just mentioned to Kyle last night that already, it was feeling a little less traumatic to leave—-I’m not going to a big, black hole of a place I haven’t “seen” in a year. I “talk” to my friends there, chat, play games with them, see their status updates . . . it makes the world seem smaller and more warm and fuzzy. So, I said my summer goodbyes to Ken and Denise, and then to Mandy as we got her on the road toward Austin —badly as we wanted to keep her! She had a pup to get home to, and we have a busy week ahead. Today was a hugely productive day. I got lots of sewing done. Lots of housework done. I even started work tonight on some much-needed maintenance of my gmail account. I’ve been intimidated for months (years even!) by the concept of “archiving” messages I wanted to keep, so my inbox is completely out of control! But, thanks to an effective lesson from Kyle, that should not be an issue for much longer. Time consuming, though, that project. And, it led me into a very late night. 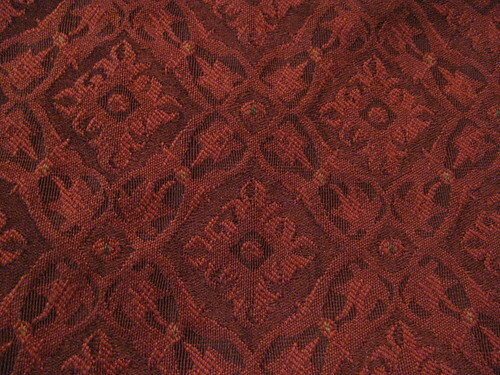 Tomorrow, I am looking forward to meeting with customers, and helping them choose the fabrics for an upcoming order. 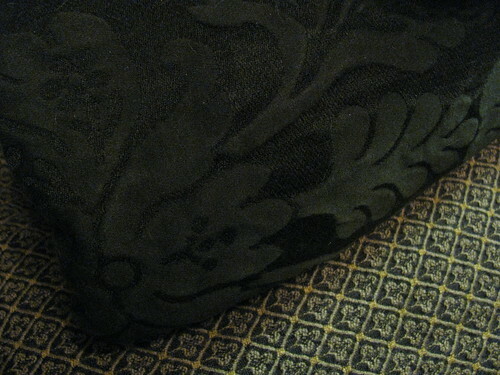 This brocade I’ve pulled aside to show them is but one of their options. The days I have left here at home this summer are winding down. One of the things that always means to me, is remembering, even more than usual, to appreciate the little things. Like every time Kyle fills my coffee cup or pours me a glass of wine without me asking for it. And how much I’ll miss that while I’m away. And, it makes me do silly things, too, like spelling “I love you” with the fruit I serve to him for breakfast. Goofy, I know, but, what can I say? The other thing that happens just before I go away, is that we try to squeeze in visits with as many friends as possible. For me, it really started back a couple of weeks ago, with the scrapbooking. And, in the coming days, we’ll get together with everyone we can. Today, it was lunch with Kathleen! My photo today is of the sign I parked under at the Chili’s where we ended up having lunch. (Who knew the Fuddruckers at Irving Mall was gone?) 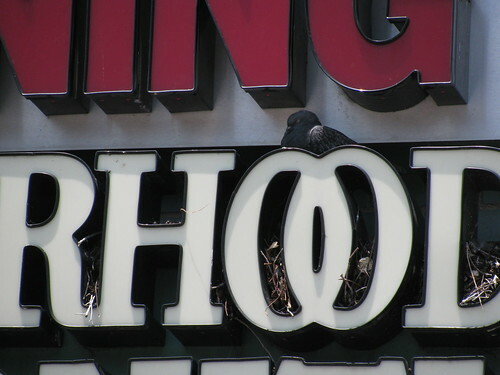 It’s the sign for a maternity store called Motherhood—-I was amused that every available space between letters seemed to be well-used by the local pigeon population. Motherhood, indeed! Our little excursion to the mall turned into a bit of an adventure over a missing purse . . . no, not mine. I can’t wander away from my piece of luggage without instantly missing the huge weight on my shoulder. But, Kathleen doesn’t regularly carry a purse, and well . . . we were distracted by shoes! We backtracked and hunted, and alerted authorities. It’s a scary thing, knowing your wallet and keys and cell phone are all in one place . . . lost. But, ultimately, disaster was averted due to the honesty and integrity of a Dillard’s sales associate named Laura. She found the purse and kept it safe until we returned to claim it. It’s a wonderful thing to know that there are still such wonderful, morally-upstanding people in the world. Thank you, Laura. After saying goodbye to Kathleen in the very hot mall parking lot, I decided I was not interested in sitting in five o’clock traffic for an hour, so I stopped to join Kyle at Rob’s on my way home. I left him there to watch part of the pool tournament before he followed me home, and went home to get back to work. Work. That’s the other thing that these last few days have in store for me. 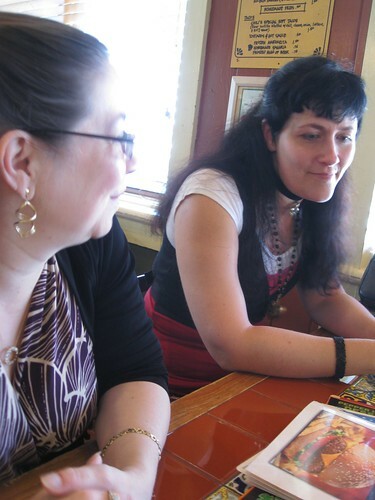 Had a lovely (business) lunch today with my wife and Kathleen (of Queen Anne’s Lace). We transacted the business portion early on and then devolved into a simply delightful lunch full of friendly chatter & companionship. I used to have lunches with Kathleen on a fairly frequent basis; they have become less frequent as time has marched. Perhaps it’s time we bring them back.